Located in North Charleston, SC, Rivers Place Apartments is a quiet oasis in a bustling urban district. 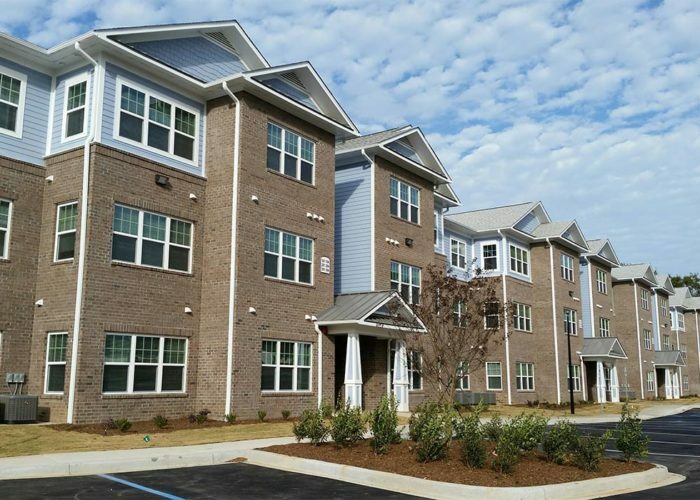 Completed in 2016, the 48-unit affordable housing property is constructed to Energy Star 3.0 standards with a brick veneer and fiber cement siding. Every apartment features a sunroom, a ceiling fan in the living and bedrooms, washer and dryer connections, fully equipped kitchen and a 15 SEER HVAC unit for cooling and heating. Residents have access to a fitness center, computer and laundry center as well as meeting space. Shopping, dining, banking and community services are within walking distance. The bus stop located in front of the property provides public transportation to the greater North Charleston and Charleston area.